Trying to get in shape? The more you work out, the more protein your body needs to maintain all those shiny new muscles—but exactly how much protein is that? Here’s what 10 experts have to say. Tennessee personal trainer and author Robert “Bob” Harper has trained such celebrities as Ben Stiller and Ellen DeGeneres, but his main claim to fame began in 2004 when he started working on the American TV series The Biggest Loser. A definite fan-favorite, Harper began hosting the show in 2015. He has also written a number of fitness books, including Are You Ready! : Take Charge, Lose Weight, Get in Shape, and Change, followed by The Skinny Rules and Jumpstart to Skinny. What does Bob Harper suggest when it comes to the amount of protein you need? Harper’s Skinny Recommendation involves taking your total body weight and dividing by two. The number you end up with is how much protein you should be eating in grams every day. For instance, if you weigh 230 pounds, you should be consuming 115 grams of protein per day. Connect with Bob Haprer on Facebook and Twitter @MyTrainerBob, or Instagram @trainerbob. Dr. Joseph Mercola, hailing from Chicago, Illinois, is a practitioner of alternative medicine as well as an osteopathic physician who currently specializes in nutrition. He was recently nominated for the Short Award for Health. 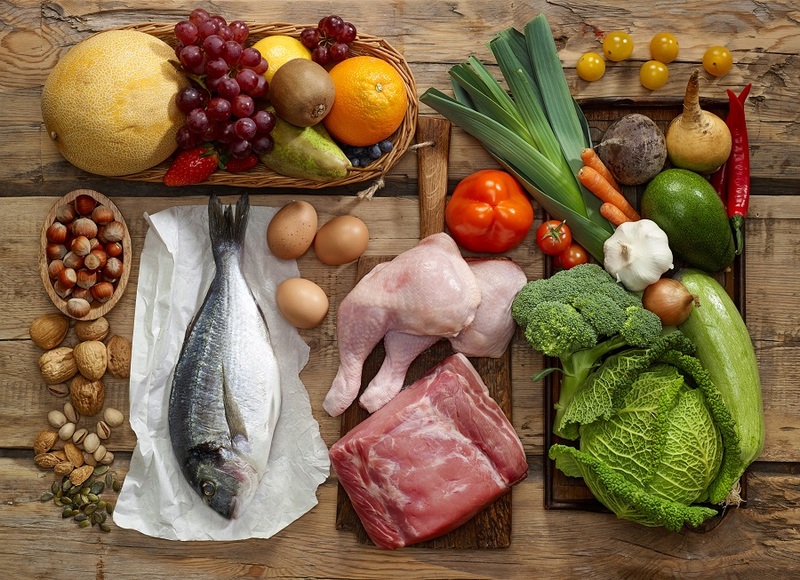 How much protein does Dr. Mercola suggest you need? Dr. Mercola recommends you consume a half a gram of protein per each pound of lean body mass. This averages out to approximately 30 to 70 grams of protein per day. However, if your body is under extra exertion, for instance, if you are exercising aggressively, participating in competitions, pregnant, or lactating, then your daily protein requirement may be 25 to 50 per cent higher. Connect with Dr. Mercola on Facebook @doctor.health, Twitter @mercola or Instagram @drmercola. Rhode Island motivational speaker Tony Horton is best known for multiple fitness series, including P90X®, P90X2®, P90X3®, Ten Minute Trainer®, and 22 Minute Hard Corps®. He has also written and published a number of books, including Bring It, Crush It!, and The Big Picture: 11 Laws that will change your Life. How much protein does Tony Horton say you need? No more than 40 grams of protein per meal, in combination, of course, with vegetables and proper whole fibre carbs. Connect with Tony Horton on Twitter @Tony_Horton or Instagram @tonyshorton. Fitness trainer and choreographer Shaun T is best known for his fitness programs, which include INSANITY, INSANITY: THE ASYLUM, Focus T25, Hip Hop Abs, and Rockin’ Body. How much protein does Shaun T suggest you need? As much as possible. Boosting your protein-to-carb ratio by eating protein-packed foods (foods like chicken that offer approximately 24 grams of protein per serving) can help a lot when it comes to burning fat, Shaun T suggests. In fact, eating protein-packed foods can reduce cravings and boost satiety—and it can boost your post-meal calorie burn by as much as 35 per cent. Connect with Shaun Blokker on Facebook, Twitter and Instagram @shauntfintness. A professional CrossFit trainer from Reykjavík—and the first woman in the world to win the CrossFit Games twice, defining her as the fittest woman in the world—Anníe Mist Þórisdóttir co-owns Crossfit Reykjavik, where she also coaches and trains. How much protein does Thorisdottir say you need to consume? Thorisdottir compliments her workouts with protein-packed meals. Her breakfasts, she offers as an example, usually include five eggs, sweet potato, bacon and orange juice. When she trains, however, this protein-packed meal follows her training session, and she starts her day off with a green smoothie with protein powder. Connect with Annie Thorisdottier on Twitter @IcelandAnnie. Harley Samuel Pasternak is a Toronto-born personal trainer, motivational speaker, author, and television host. He has a Master of Science in Exercise Physiology and Nutritional Sciences from University of Toronto and has been certified by The American College of Sports Medicine and The Canadian Society of Exercise Physiology. Pasternak has served as an exercise and nutrition scientist for Canada’s Department of National Defense, and has trained a number of celebrities, including Lady Gaga, Rihanna, Halle Berry, and Robert Downey Jr. A New York Times Bestselling Author, Pasternak’s books include 5-Factor Fitness, 5-Factor Diet, The 5-Factor World Diet, and The Body Reset Diet. What does Harley Pasternak have to say about protein? Pasternak suggests we should build our meals around lean protein and fibrous veggies, such as salad greens and other leafy greens, and suggests smoothies boosted with whey protein are a good way to achieve the recommended 20-40 grams of protein needed per meal in a way that can allow your body to easily absorb all of the necessary nutrients. Connect with Harley Pasternak on Twitter and Instagram @harleypasternak. An award-winning personal trainer, holistic nutritionist, fitness instructor, TV host, and writer, Lyzabeth Lopez is popularly known as the creator of the Hourglass Workout™. She has also been recognized by Inside Fitness Magazine as the Number 1 Fitness Model in Canada, and BlogTO.com voted her best personal trainer in Toronto. How much protein does Lyzabeth Lopez say we should consume? We’re not all cookie cutters, states Lopez, so the protein amounts are going to be different based on types of workouts, types of diets, and types of bodies. The important thing, Lopez recommends, is to consume one protein source per meal, as well as something, like a protein shake, with a little protein and sugar in it, within the first 20 minutes after your workout to help build and repair those muscles. Connect with Lyzabeth Lopez on Facebook @lyzabethlopezfitness, Twitter @Lyzabeth Lopez, and Instagram @lyzabethlopez. A Toronto-based kinesiologist, personal trainer, strength coach, fitness model, fitness competitor, and track and field sprint coach, Alicia Bell runs Train It Right, her own personal training business and track & field club. Bell is nationally recognized as a track and field coach after coaching Team Canada at the Maccabi games in 2013, leading them to 13 medals. Bell has also worked with Dwight Howard (NBA), Rashad McCants (Former NBA), Geoff Harris (Olympic 800m runner), Lil Jon, and HustleGrl. What does Alicia Bell have to say about protein? Alicia Bell recommends high protein meals topped off with protein boosted snacks in between, but you don’t need meat to get your daily protein requirements, Bell explains. You can boost your daily protein intake with snacks like protein pudding between protein-packed meals, too. Connect with Alicia Bell on Facebook, Twitter and Instagram @trainitright. Nutrition consultant Leslie Beck operates a private practice in Toronto where she works as a Registered Dietitian (RD). Beck writes a weekly column in The Globe and Mail and offers additional nutrition advice each week on Montreal’s CJAD Radio’s Andrew Carter Show. Beck is best-selling author of 12 books, including The Plant-Based Power Diet, and 10 Steps to Healthy Eating. What does Leslie Beck suggest when it comes to protein? Leslie Beck suggests we need to consume at least 30 grams of protein per meal to achieve maximum muscle health. A #1 bestselling author, award-winning talk show host, keynote speaker, and professional musician to boot, Abel James is best known for his Fat-Burning Man Show, which hit #1 in Health on iTunes, as well as his book, The Wild Diet. How much protein does Abel James say you should eat? At least 100 grams per day, says James, or one gram of protein per pound of body weight. “Don’t be afraid of eating too much protein,” James adds. “Be afraid of eating too little.” James recommends unsweetened protein shakes or bars to help you get to that amount, but emphasizes prioritizing eating real food first. Connect with Abel James on Facebook, Twitter and Instagram @fatburningman.